While traditional Data Security Perimeter solutions like SIEM have been around for more than a decade, they are undergoing major shifts in configuration and deployment. These changes in capabilities are necessary to keep up with the explosion of new technologies like Big Data, AI, IoT, Web Apps and many others. They inherently introduce new attack surface opportunities and exploits enabling bad actors, while adding new concerns for data security professionals. Ransomware continues to make headlines in the private and public sectors as businesses are scrambling to re-examine their Data Security Profile. Traditional Data Security Perimeter check-points like Credential Management, Network Firewalls, Device Access and Theft are breached with alarming regularity making data protection a top priority for security professionals across all industry sectors. As security models evolve and adapt to these new emerging technologies and threats, the last line of defense to protecting your data, whether at rest or in motion, should be Encryption. In fact, it may be the single most important data security solution for today and tomorrow! 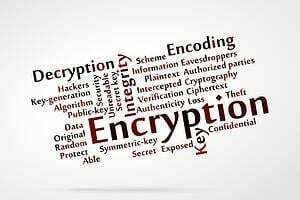 Finding the right encryption solution that protects data regardless of current or future technology infrastructure is not only mission critical but it inherently must support all major operating systems and business processes. A software component that can be configured and deployed as business initiatives dictate without the need for additional hardware, appliances or separate technologies is a must. A complete Data Security Profile requires industry standard support for Tokenization, Key Management, PGP and PCI compliance in any combination. If you could enhance your data security profile by having a centralized data encryption solution with these capabilities, it would streamline deployment and management while minimizing costs and resources.